Chris Weber, Nokia’s Head of Marketing, has a few things to say about HTC’s new Windows Phone 8X and Windows Phone 8S smartphones that were just unveiled. Although Mr. Weber referred to the HTC unveiling as “more than good news for the Windows Phone ecosystem”, he also took a dig a the Taiwanese manufacturer. He called HTC’s two new WP8 smartphones (which are officially named Windows Phone 8X by HTC and Windows Phone 8S by HTC) a tactical re-brand, while the Lumia smartphones are “driving an industry-leading smartphone franchise exclusively around Windows Phone”. In other words Chris Weber believes that, while Nokia is bringing more customers to the WP platform, HTC is just trying to use its growing popularity to its advantage. In a tweet from earlier today he also openly attacked HTC, saying that the Taiwanese are unable to match the innovation of the Lumia 920. “It takes more than matching color to match the innovation of the Lumia 920″, read the tweet. Ouch! 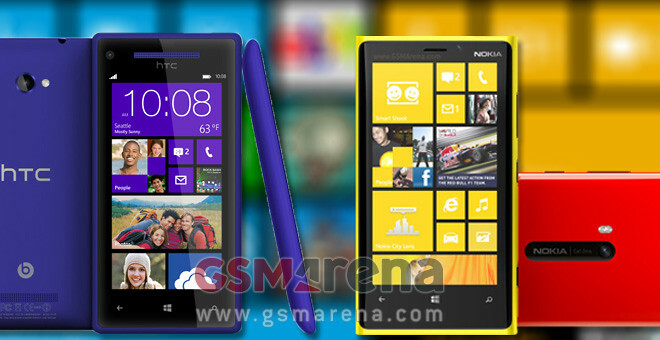 It is true that the Lumia 920 and 820 are great products, but maybe Nokia is already starting to feel the heat? What do you guys think – which one is going to be the dominant player in the WP game this holiday season?